Mental Health Europe is non-for-profit organisation. 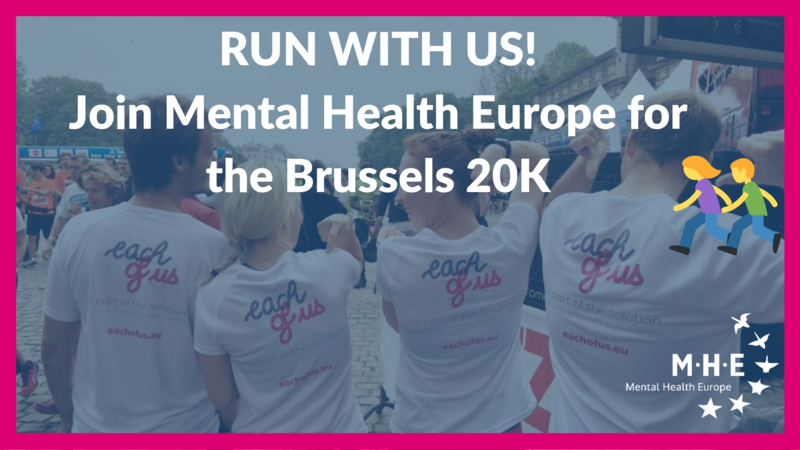 As part of our fundraising activities, every year a team of runners enters the Brussels 20K on behalf of MHE. This year the event is taking place on Sunday 19th May 2019 and we are seeking runners to join the MHE team. Fundraising boosts our public profile and supports our advocacy work, helping us to develop new material, organise activities to empower people with mental health problems, and promote positive mental health and well-being in Europe. If you feel like running for a great cause, we do hope you will consider joining our team, which gets bigger every year! We will provide runners with branded t-shirts on the day, and ask you to help us raise funds online to support our activities. Turn up ready to run for a great cause on 19th May ! We are looking forward to having you joining the team, thank you so much for your support!